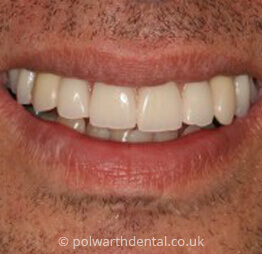 At Polwarth Dental Clinic, we like to help our patients maintain great oral health. An essential part of this is knowing about the types of toothbrush and how to use them. Toothbrushing is carried out to remove the sticky bacteria that form a harmful film on the teeth (dental plaque). 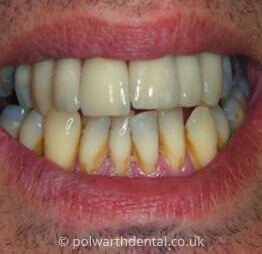 These bacteria cause gum disease which is the most common disease in the world. The bacteria also act on sticky sweet foods forming an acid that causes tooth decay. When buying a toothbrush choose a small-headed medium strength brush that has a comfortable handle for grip. It needs to be replaced about every three months. There are many types available, some have timers, others are battery operated, and some are mains operated. Small-headed ones are better for small mouths. They are very efficient at cleaning if used correctly and are good for people who have a problem with dexterity. Electric brushes should be used following the manufacturer’s instructions. Place the toothbrush head where the tooth meets the gum so that the bristles are just in the cuff of gum around the tooth. Start at one side of the mouth and carefully brush around to the next side using small gentle back and forth strokes. Do not scrub hard, as this will damage the teeth and gums. Use this technique on the outer surfaces near the cheeks and on the inner, surfaces near the tongue and around the palate. Finish by brushing the chewing surfaces. Brushing while looking in the mirror will help to check that none of the teeth are missed. Brushing correctly should take about two minutes. An alternative method is to first move the lower jaw until the teeth are in edge-to-edge contact and brush all the outside surfaces of the teeth and gums gently and thoroughly with a circular motion. Next, open the mouth and do the same to the inside surfaces of the top teeth and the surfaces of the lower teeth next to the tongue. Finally, brush all the biting surfaces and rinse the mouth out to clear away the debris. There are many different brands of toothpaste in the shops and nearly all of them contain fluoride. Fluoride is very important because it strengthens the teeth against decay. There are also toothpastes that help with sensitive teeth when eating something hot or cold and others that work against the harmful bacteria. Only a pea sized amount of paste is necessary as too much may cause a lot of foaming. Speak to our dentists at Polwarth Dental Clinic if you have a question about which type of toothpaste is suitable for you.